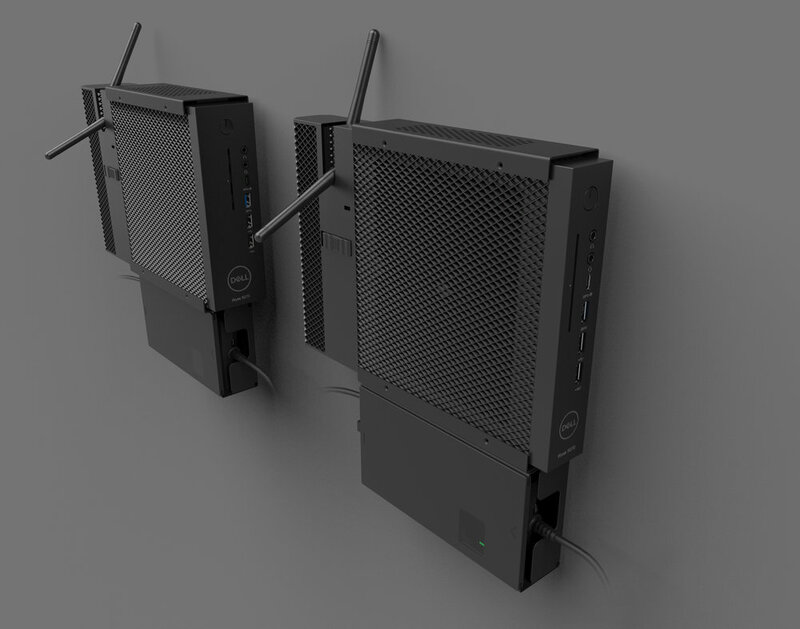 Dell, I was the lead designer for the Wyse 5070 and its accessories. Dells design language. Simple, purposeful design and the angled diamond vent pattern that is seen on OptiPlex commercial PCs. As the project progressed, a center mounted motherboard was seen to be too expensive. This direction explored a left justified I/O, and a “two tiered” layered design. The direction then evolved to a design that featured right justified ports and a centered power button and logo. The bezel grew in depth for a stronger, blockier appearance. 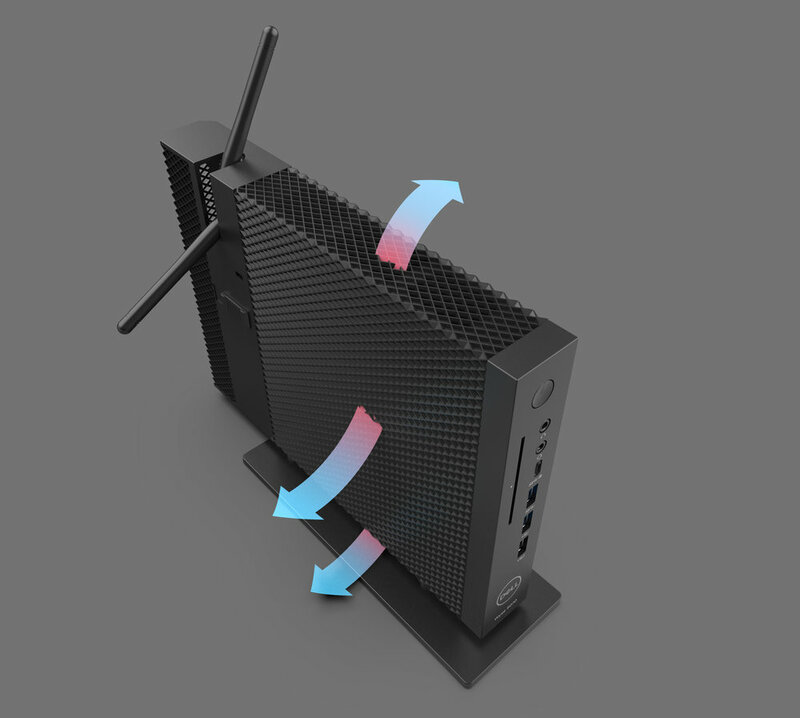 With the new ventilation requirements, the thin client had to incorporate the sided ventilation. An elevated vertical stand was proposed. With the chosen direction settled for the thin version, we then explored variations for the wide version. Two directions explored how we could split the front bezel to better match the thin computer. The version with the center mounted power button and logo was chosen. different modules for a card reader or additional ports. is preferred, because of its cleaner appearance. 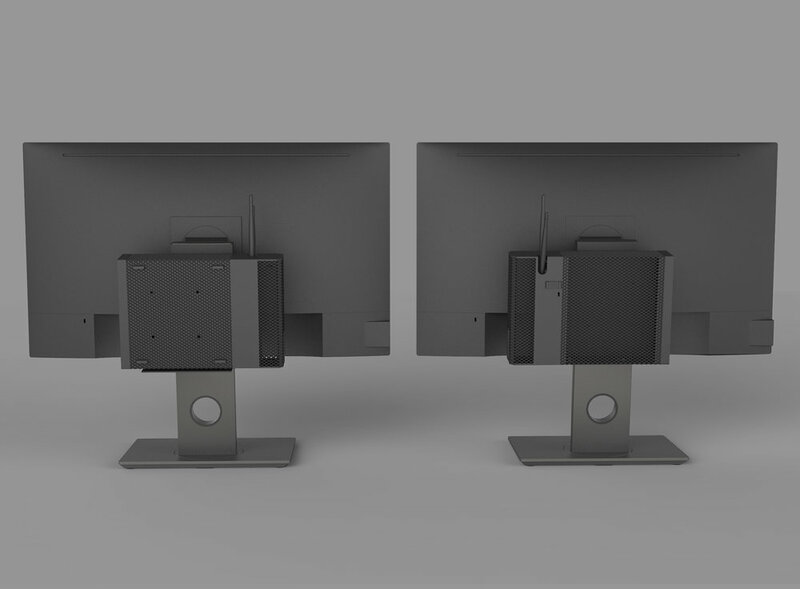 Rather than design a variety of monitor mounts for all the different monitor models, we wanted a single mount that can be adjustable. that secures the mount onto the neck of the stand. The PU mount was designed around the mechanism the manufacturer proposed. A spring holds the plate up, keeping the wings closed in. 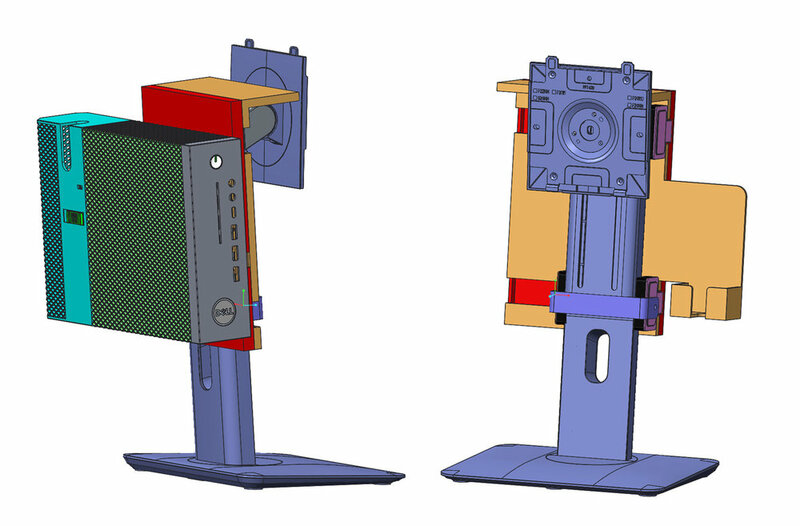 The user will open the wings of the PU mount, and the wings will adjust to the appropriate width monitor stand. and come indifferent widths for the various monitor models. 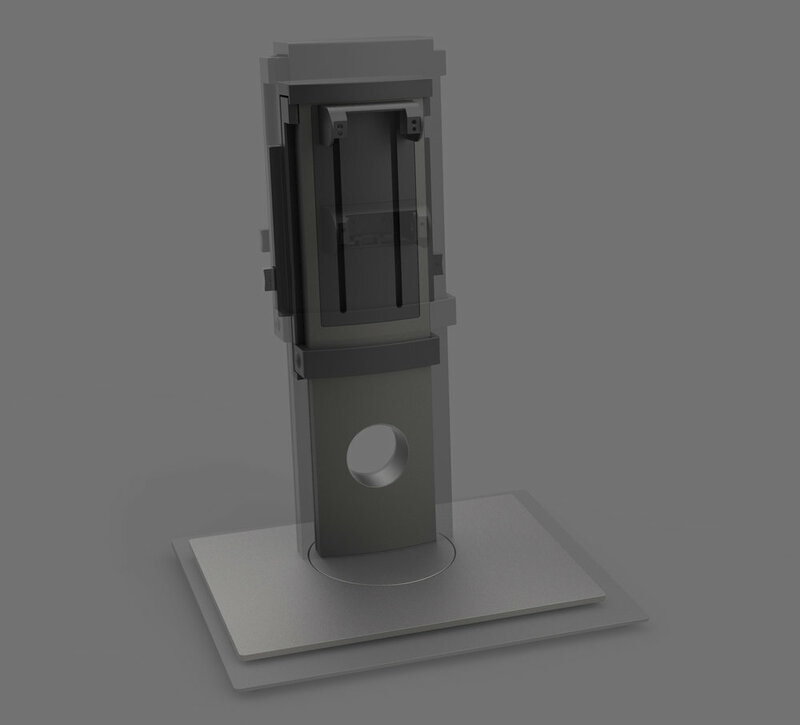 The mount can expand and contract to a variety of different sized monitor stands. From 130mm for the widest stand to the narrowest stand at 69mm. 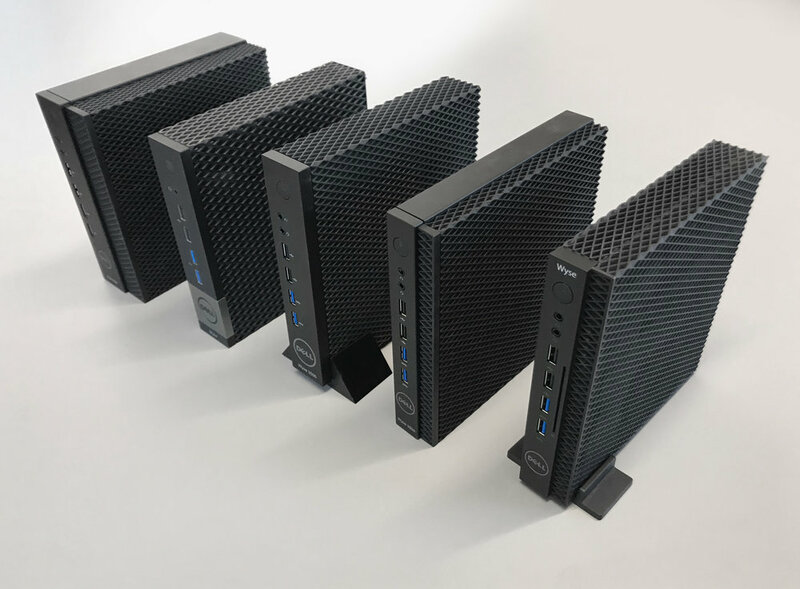 The Wyse 5070 is a fan-less design, so three sided venting is needed to cool the computer. elevated tripod stand by a keyhole fitting. 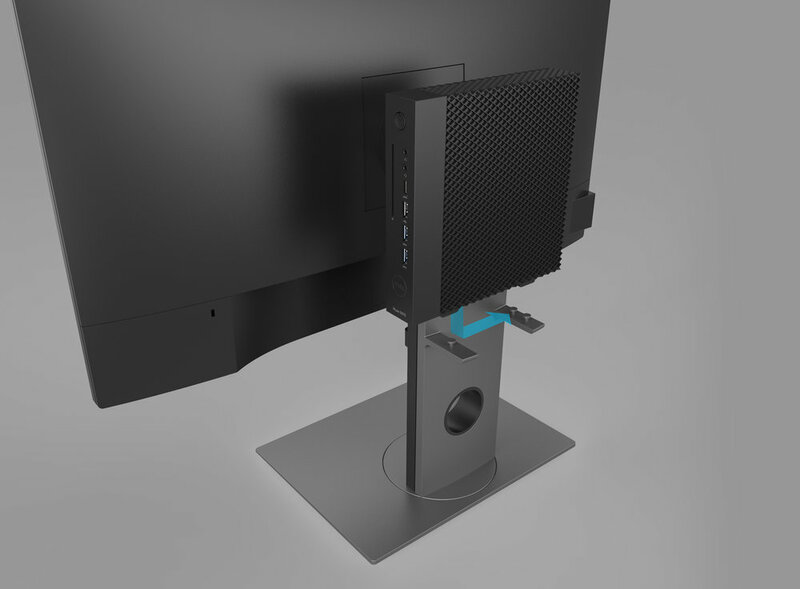 The Wyse 5070 can fit within a dual-VESA bracket. This mount can be used in conjunction with an adjustable monitor arm. The Wyse 5070 is light enough to be wall mounted. The wall mount features a matching hole pattern that allows for ventilation. The power supply unit is housed in a detachable box for an integrated package. The wall and arm mounts consists of bent sheetmetal construction. An additional plate is screwed onto the wall mount to create the arm mount. securing it on the mount. and the power supply unit box. Before production we made finalized prototypes, so that we can make sure that everything fits and works properly together.